MAKE Technologies, now part of Dell's Application Modernization services, is a leading global provider of application modernization software and services. They were acquired by Dell Inc. in 2012. After an extensive interview process, MAKE hired us in the fall of 2011 to work on a new subscription-based enterprise SaaS product that was in its initial stages of planning and requirements gathering. 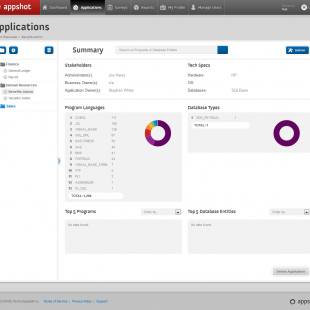 This product, known as AppShot, would help automate their existing business processes, exposing much of their application modernization technologies as a single, unified web-based B2B service that their clients could use directly. While the first phase of development was spent prototyping with a very small team — primarily consisting of MAKE's engineering leads, Taunt, and an outside UX designer — the project eventually grew in size and scope substantially. The internal team we worked with grew and adapted in concert. From the product development side, the feature set supported upon project completion was quite diverse. 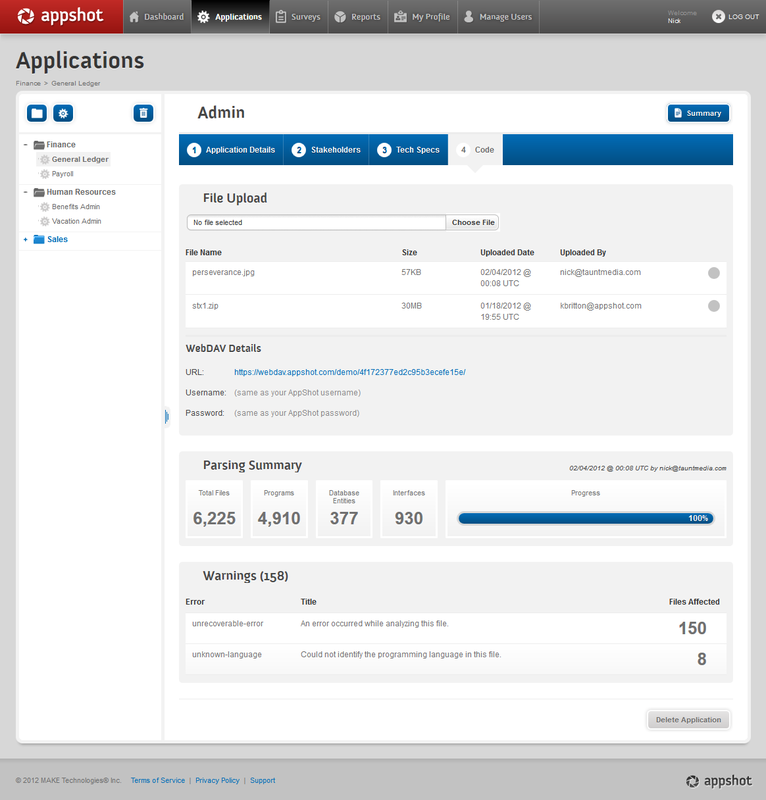 A broad set of user roles were defined, and the application's features included user management (including a hierarchy of security roles), submission of applications or groups of applications for analysis, user-created survey management and delivery, custom reporting tools, and administration interface for MAKE to manage customer accounts. One challenge we faced was a significant requirements change mid-stream, coupled with some upheaval in our team members at MAKE. We also replaced our original external design resource with fellow consultant and talented UX designer Steve Harvey early on in the project, which fortunately resulted in a major improvement to the app's usability and visuals. 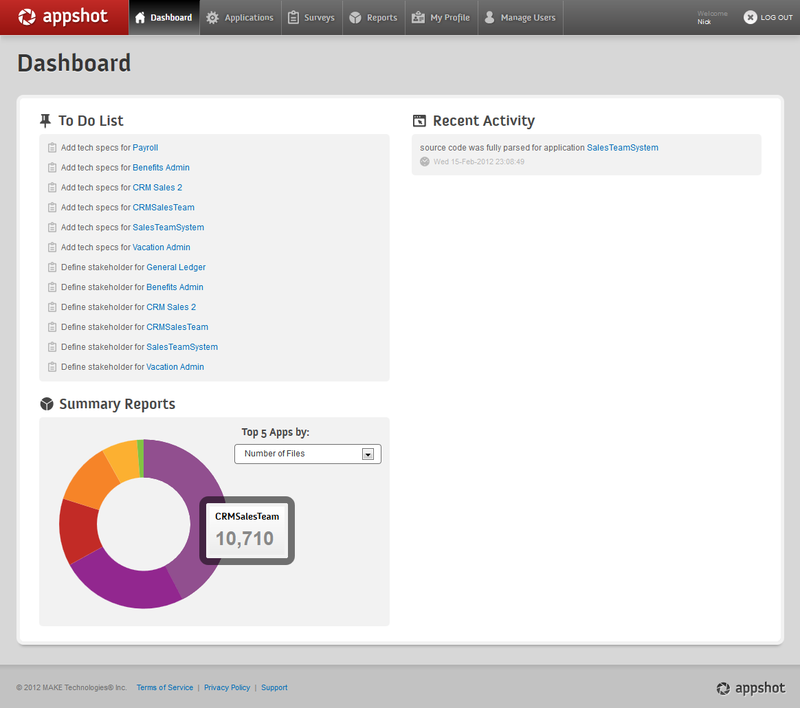 While functionally complete, tested, and announced (and advertised) to the public, in the end, AppShot never launched. 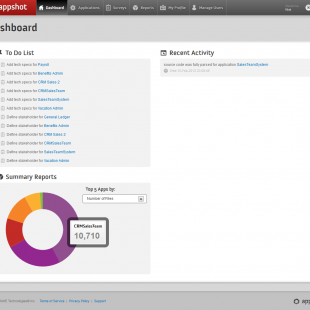 In the fallout of Dell's acquisition of MAKE in mid-2012, AppShot was shelved indeterminately. We hope it'll still see the light of day at some point in the future. Nick has worked for us on a new SaaS based product [...]. The product is brand new, with a complex UI and expert functionality. He has been invaluable in turning our vision in reality. He has deep and up-to-date knowledge of all of the latest web technologies. He has shown incredible consistency and ability to turn around great results in very short timeframes. We have been blown away by his work! 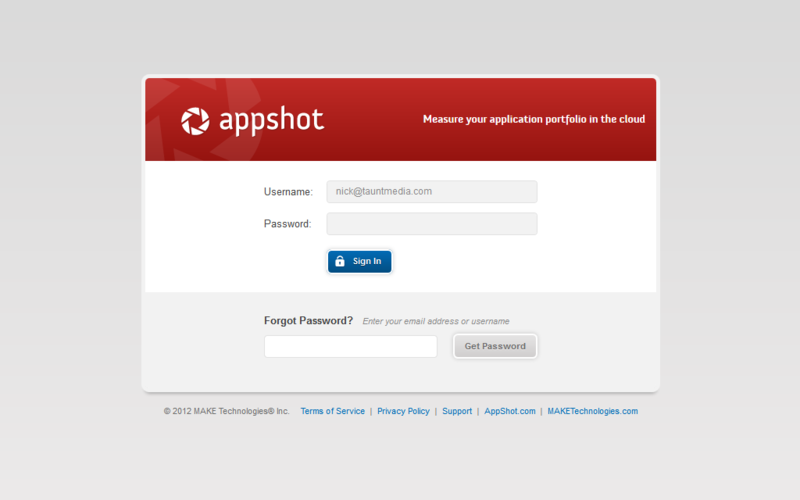 Nick worked with us to develop the interface of a new enterprise SaaS product. His insight into UI design and expertise in developing the front-end helped us in building an intuitive and easy-to-use product. Nick consistently delivered high quality work to meet the needs of our aggressive development schedule. I would recommend Nick's work to others and look forward to working with him again. 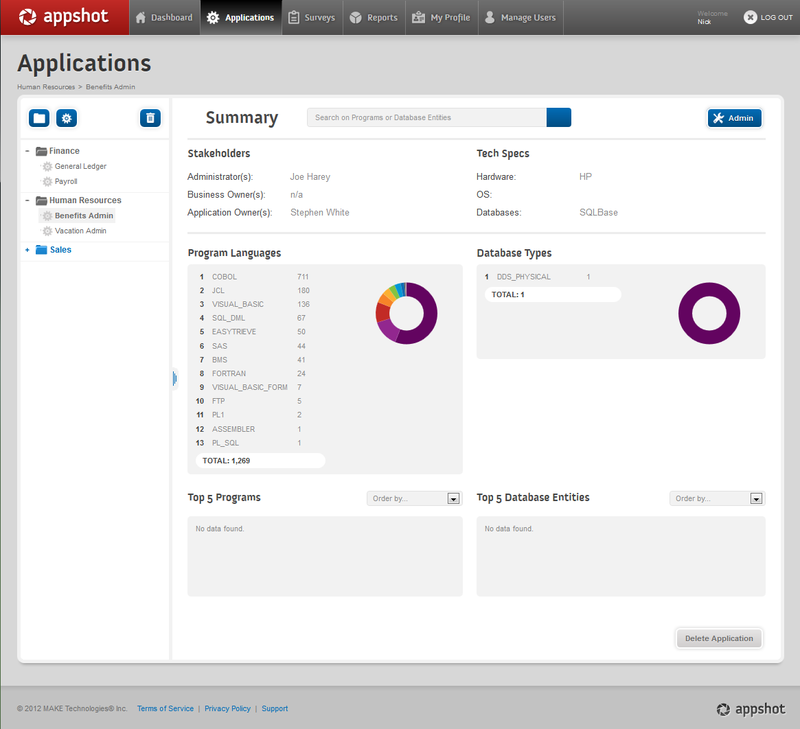 During the 9+ months we participated in AppShot's development cycle, Taunt focused primarily on initial interaction design consultation, followed by implementing visual design and building out the client-side features, as well as integrating with the back-end. 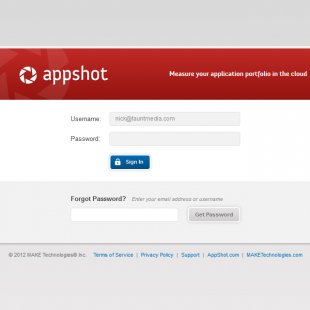 The application moved from prototype stages to a single-page app platform built on KnockoutJS, involving a significant amount of refactoring as product and technical requirements shifted. From a front-end perspective, the app was designed with a fluid/liquid layout that scaled down comfortably to tablet form-factors, and up to wide-screen desktop displays. 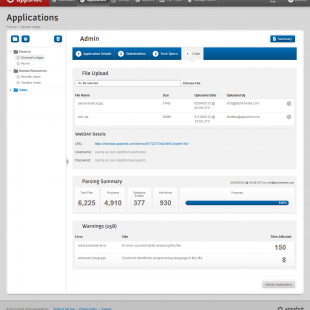 We worked in tandem with MAKE's engineering team, who focused on building out the back-end. This included a Java Spring-based RESTful web service framework, and interface layers to communicate with their existing legacy code analytics software, and logging, reporting and data storage facilities at Amazon's AWS cloud computing platform. From a usability and visual design perspective, we partnered with third-party UX designer Steve Harvey, Principal at Thirdeye Communications, based primarily in Bangkok, Thailand.